Apparently IBM wasn’t the only company looking to buy a nice Silicon Valley enterprise hardware and software company, since Oracle just bought Sun now that IBM’s opted to pass. You’d assume this was the backup plan, and you’d also assume that Sun really needed/wanted to be purchased. I think it’s a better fit for Sun than IBM would have been. It’s a pretty important change in the world of technical operations (which is much like the martial arts world, up to and including the preponderance of aged sages and masters). It even has at least one minor direct impact on MMOs. Even if it didn’t, though, it’d be interesting enough to talk about here. The minor direct impact is Project Darkstar, Sun’s open source MMO server. Oracle doesn’t have anything against open source, about which more in a second, but Project Darkstar probably hasn’t sold Sun many servers so far and I suspect it’s the sort of fringe project which has trouble surviving after a merger/acquisition. Also, the current releases run on a single server only, which is a bit of a drawback for serious MMO work. On the other hand, it’s a fringe project which isn’t being used for a whole lot in practice, which brings us back to the minor impact. The first big indirect impact is MySQL. I don’t expect Oracle to kill MySQL out of hand. Oracle doesn’t have a reputation as an open source friendly company, but they do a fair bit of work with open source and they’re clearly not adverse to the concept. Oracle bought Berkeley DB a few years back and it’s been chugging along just fine ever since, although admittedly it isn’t a direct competitor to Oracle’s core products. Rather, it’s a nice complement. For that matter, Oracle’s actually licensed core technology to MySQL in the past; InnoDB is an important storage engine for MySQL and it’s owned by Oracle. I also don’t expect MySQL to stay exactly the same, because it has been a direct competitor to Oracle DB. While it makes sense for a software company to offer an open source version of its products, that version should be a gateway to a commercial relationship. MySQL currently has a subscription-based enterprise product which provides monthly frequent bug fixes and updates. That’s a good model. I’m just not sure it makes sense for Oracle, because you’re then supporting two products that directly compete. If nothing else, the marketing gets wonky. Maintaining MySQL as a starter DB and encouraging people to upgrade to Oracle as their needs grow is also unlikely. If nothing else, that’s not a clean upgrade. It’s not impossible that Oracle will cut MySQL loose. It’d be a pretty easy transition, since MySQL development still happens in Sweden. When Sun bought MySQL, they didn’t change much about how the company did business. I’d imagine this would come at some cost, and I’m not sure who’d be in a position to pay it. Since it’s an open source product, the original developers could theoretically resign from Oracle en masse and reconstitute themselves as a new company. That is pure and blatant speculation. I don’t know what Swedish non-compete laws are like, I don’t know what it says in their employment contract, and so on. It’s more likely that a new entity would take on development. On the other hand, that’s a big project to launch; you’d want someone like IBM backing you, and you might lose those licenses that Oracle’s sold to MySQL proper. So lots of possibilities. I don’t expect to see MySQL vanish. I do think it’s very possible that development will slow down. If I were starting a project that required a database right now, I’d look at the possibility of change around MySQL and probably decide to use Postgres. Just to pull this back to MMOs: did you know that Sony Online Entertainment has a significant investment in the largest Postgres support company out there? That’s who Sony uses for their databases. Just sayin’. The other interesting indirect impact is servers. Oracle is not a company you think of as a server company, unless you were paying attention last fall. That product’s built on HP technology and hardware. Oracle now has an opportunity to own the entire concept, from hardware to OS to database. This has to be attractive to Larry Ellison, who is a big fan of Steve Jobs and the Apple integration of hardware and software. I expect to see database and data warehouse appliances built on Sun’s hardware within a year or two. The open question is whether or not Oracle wants to be in the general purpose server market. They certainly could be, but it doesn’t necessarily sell more databases. Sun’s been pushing their servers at the MMO industry fairly hard; I expect most of us have gotten their sales calls and heard all about the Sun Games Technologies Group. I have no qualms about saying that I never wanted to buy Sun because I was uncertain about their future. (Which always made me sad — I used to work for Sun.) If Oracle decides they want to continue the general purpose product line, however, that’s a potentially different matter. I’d be pretty happy to see another competitor in the market. Right now, if you want the support that should come with a top tier server provider, you’ve got IBM and HP with Dell as a reasonable third choice. As a purchaser, I’m always happy with more choices. I’m thus rooting for a Sun resurgence, without any sappy puns about rising. The third big impact is Java. I’d expect this to be the most painless, least interesting transition. Oracle is a software company, and Java fits into their offerings without being a competitor to anything they’re already doing. 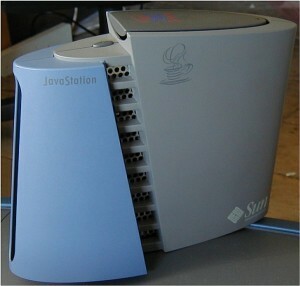 Oracle’s already involved in Java open source work. Theory isn’t practice, but Oracle would have to work at it a bit to screw up Java. I’d bet Java was actually the biggest reason Oracle wanted to buy Sun, although MySQL and the hardware had to be factors as well. Therefore, I don’t have much else to say about it. So there we are. It’s a pretty seismic change, even if Sun was declining as a factor. We won’t really know what the full impact is for a year or so. I think I am cautiously optimistic that it’ll be a net good for me, with some negative effects.